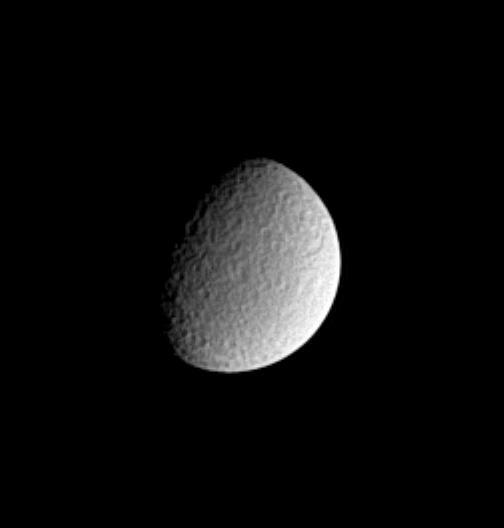 Impact-battered Rhea exhibits a mottled appearance in this image from the Cassini spacecraft. 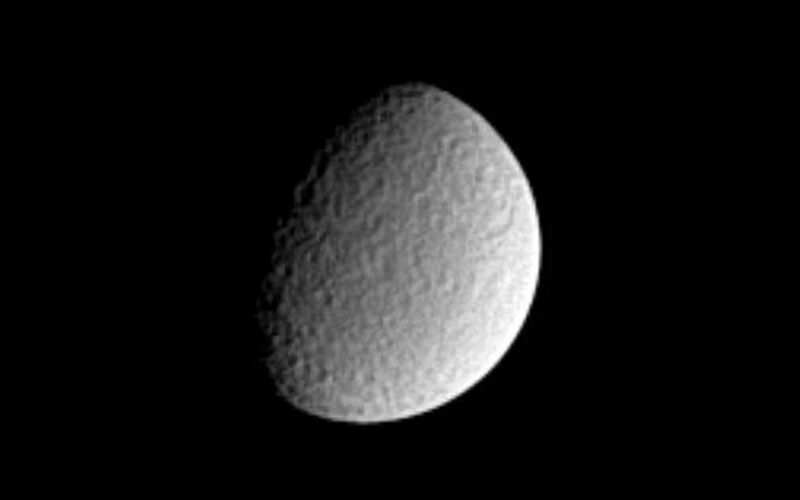 On an ancient surface such as this, large impact basins are often peppered with many smaller craters. The image shows principally the trailing hemisphere of this icy moon, Saturn's second largest. 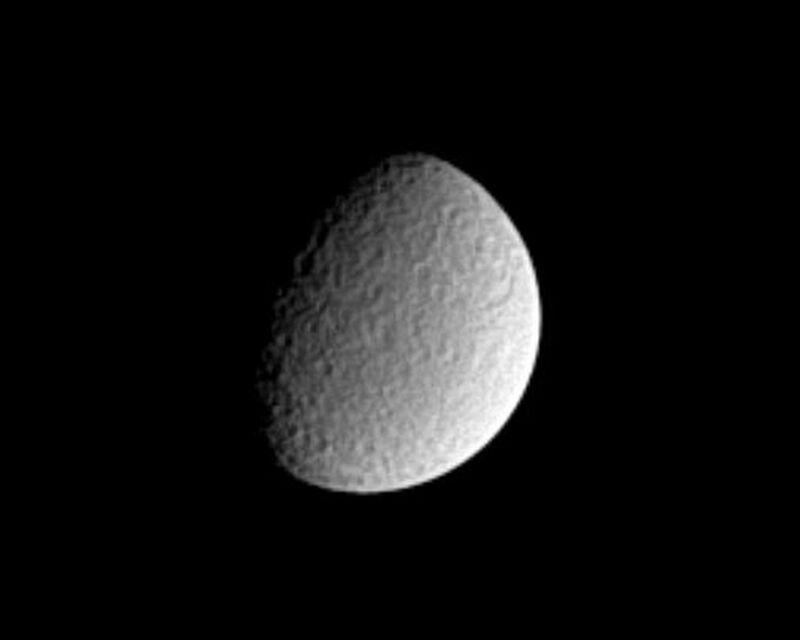 Rhea's diameter is 1,528 kilometers (949 miles). 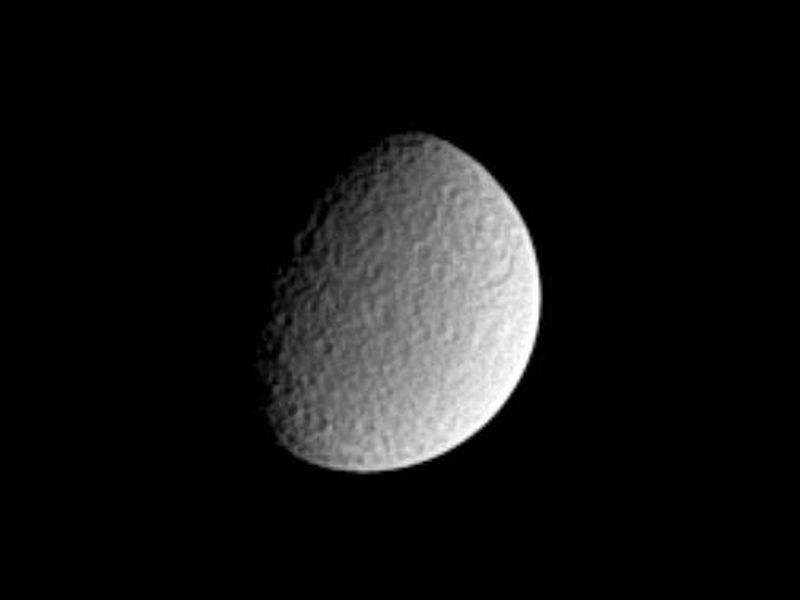 The image was taken in visible light with the Cassini spacecraft narrow angle camera on Dec. 9, 2004, at a distance of 2.3 million kilometers (1.4 million miles) from Rhea and at a Sun-Rhea-spacecraft, or phase, angle of 60 degrees. The image scale is about 14 kilometers (9 miles) per pixel. The image has been magnified by a factor of two and contrast enhanced to aid visibility.